Some 32 police officers were injured and 11 people arrested overnight during the Twelfth of July Orange Order parade in northern Belfast. 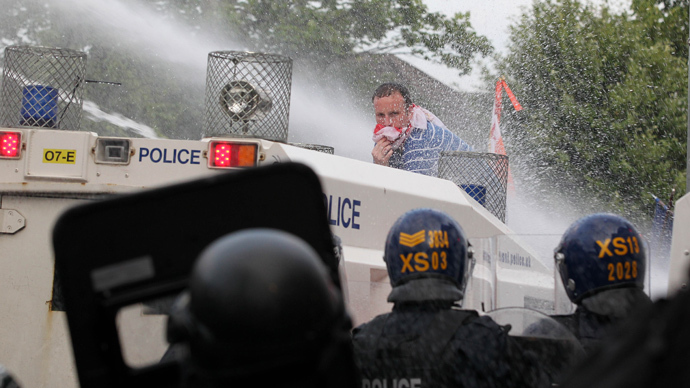 Police used plastic bullets and water cannon to block loyalist marchers from entering a nationalist neighborhood. Additional police forces from Britain were called on to provide security for the marches. Numbers of Members of the Orange Order were estimated to be in the tens of thousands, dispersed across twelve venues. 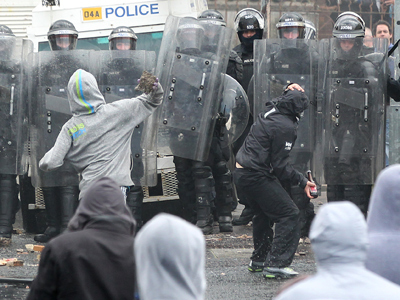 Eight rioters and a senior lawmaker, North Belfast MP Nigel Dodds, have been injured alongside the 32 police officers. 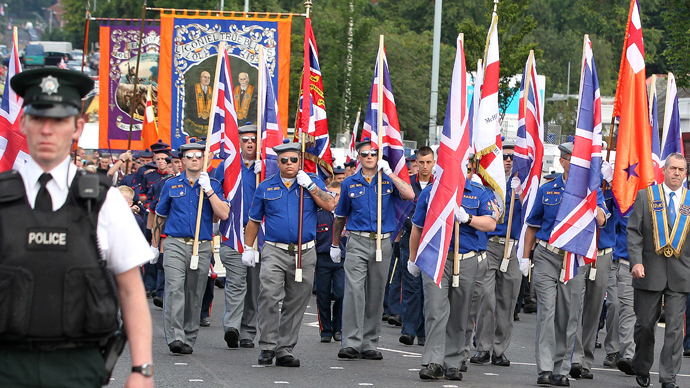 The trouble began as Protestant marchers - who hold Orange parades every summer to proclaim their loyalty to the United Kingdom - passed a group of nationalists at St Patrick’s church near the Ardoyne area of Belfast. 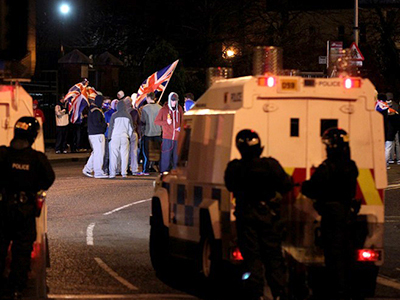 Tensions mounted between the two sides as nationalists charged the Orange Parade bandsmen and threw projectiles at them. Officers then intervened, forming a cordon between the two groups. Petrol bombs, bricks and fireworks were hurled at the police who responded with plastic bullets and water cannon. Chief Constable Matt Baggott described the event as "shocking and disgraceful" violence, which resulted in head, eye and leg wounds. Dodds was knocked unconscious by a missile thrown by loyalists. He was taken to the Royal Victoria Hospital in Belfast where a hospital spokesperson said the MP's condition was stable. 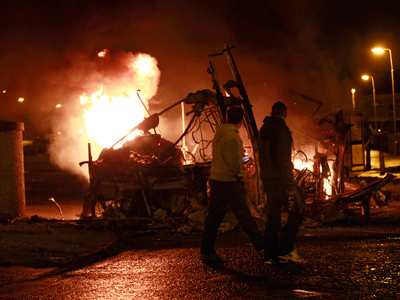 Officers “continue to be attacked by rioters in several parts of Belfast. A number of officers are injured… the police are dealing with a serious disorder in the Woodvale Road area of North Belfast,” the Police Service of Northern Ireland said in a statement. 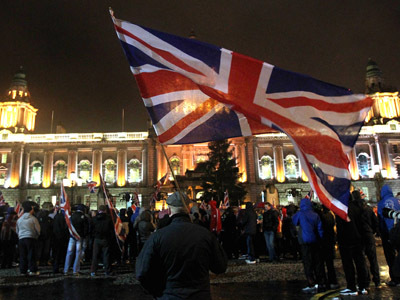 A peace agreement in 1998 effectively ended three decades of Catholic-on-Protestant violence, but Belfast remains a sharp dividing line between the two groups to this day. The march marks the Protestant King William III’s victory at the Battle of the Boyne in 1690 over the deposed Catholic King James II. Every year, the marchers demand to use traditional routes, where clashes occasionally erupt as the parade moves through predominantly Catholic areas.